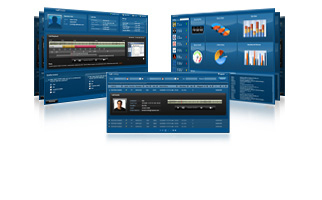 With call monitoring software, your valuable calls will never again be lost. The recent financial crisis has given rise to increased risk, regulatory compliance and heightened public scrutiny of financial services companies. As a result, companies are turning to full-time interaction recording and quality management solutions to help mitigate risk, ensure compliancy and to help improve customer relations and help streamline customer service operations. The Majuda Voice Suite is not only customizable and scalable to meet the ever-changing needs of this volatile industry, but most importantly, it will ensure that no call is ever missed again. Majuda's call recording and our quality management solution will provide a total peace of mind, as you will know that no matter how your company and its communications expands, we will always be able to provide a customizable and fully scalable product. With the Majuda CallTracker, you will now have the ability to: safely record and store an endless number of calls from any analog, digital, VOIP or blended platform – this is with regards to the majority of PBX's and from any number of extensions. Use Majuda, as we deploy the very latest in web development technologies, this is to provide a seamless user experience. Outside of its highly advanced search features, the Majuda CallTracker allows users to search through all current, as well as archived calls by using ten various search criteria. The centralized web-based administrative and user consoles allow users lets you access records from anywhere in the world. The Majuda CallTracker can retrieve over one million calls in under a second by using our unique technology. Make use of Majuda's superior storage and archiving functionality – our system tracks all calls, securely stores your data and allows instant searches throughout your database for those specific phone calls. Record a limitless amount of phone calls in a secure environment – truly this is the ideal answer to call quality management. At Majuda, we understand that the client’s data must be both secure and safe. There are also the local, state and federal regulation laws that must be complied to. Majuda has included 256-bit AES end-to-end encryption on each and every call. Enjoy audit trails with protected digital stamps to prevent any form of tampering. We know that you require reliable call monitoring software. How can you be sure that your calls are being correctly monitored? Now with MajudaAlert, we can remotely monitor and support any Majuda call logging software installation from anywhere in the world.